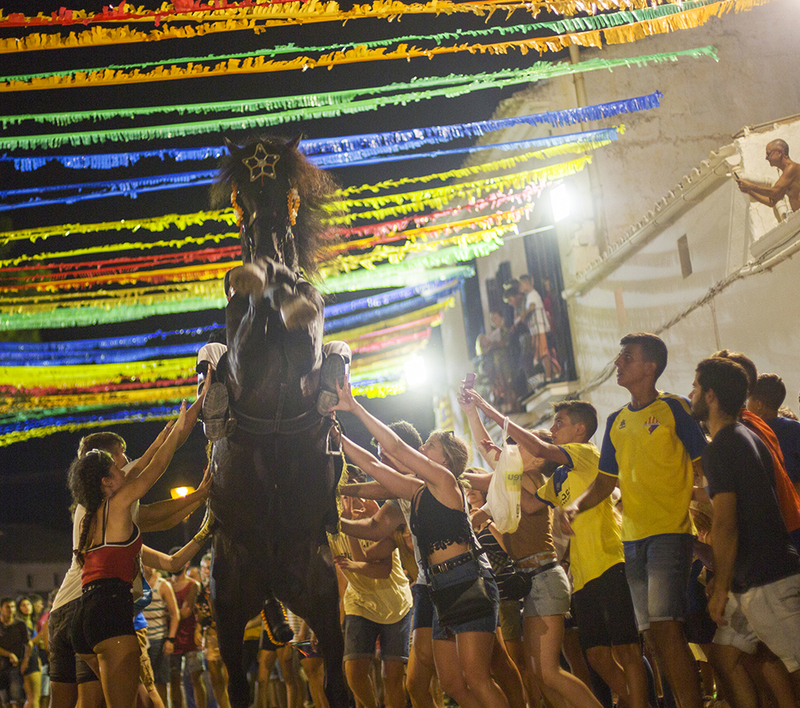 Llucmacanes is a small village very close to the main town of Mahon on the island of Menorca. 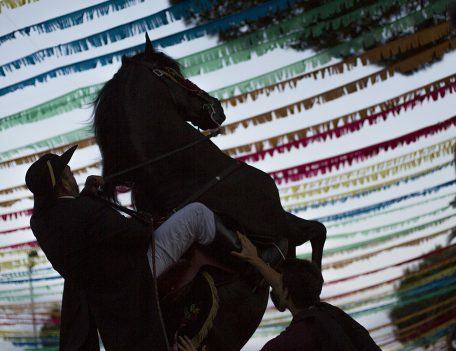 All the main towns have fiestas during the summer months to celebrate their patron saint. 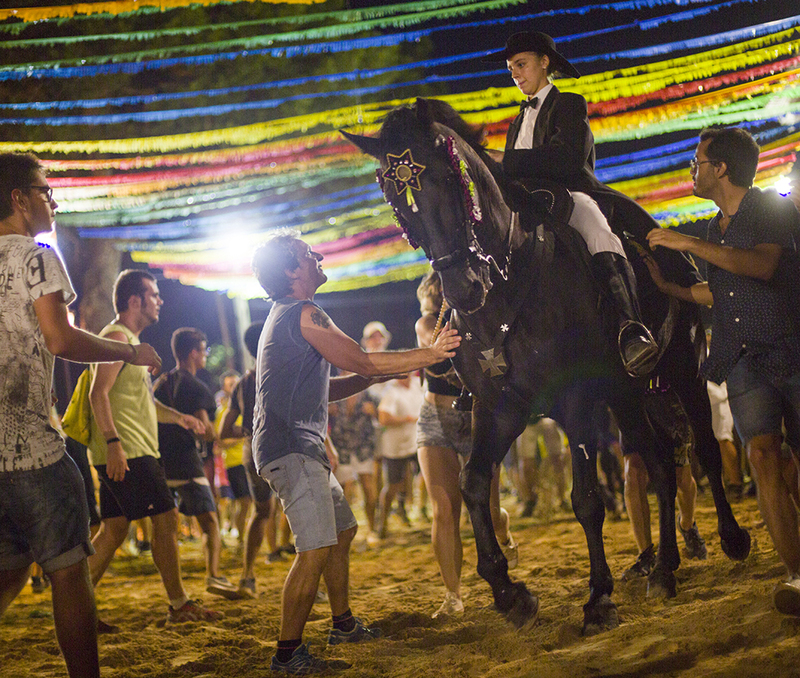 Llucmacanes is small in comparison but still holds a fiesta in the first week of August. 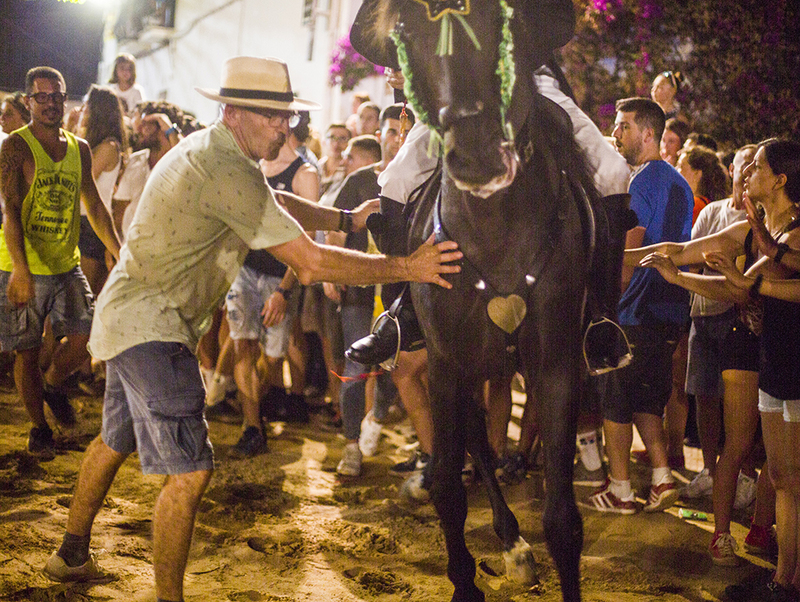 The village celebrates Sant Gaieta. 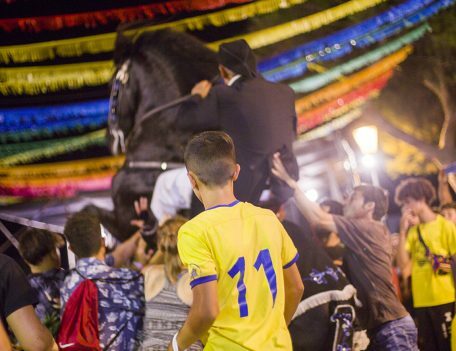 The link below gives the towns which celebrate their fiesta along with the date. 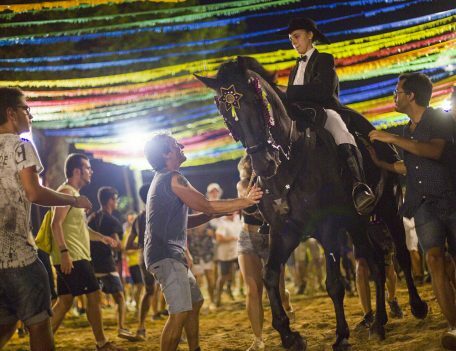 The main attraction to these events are the magnificent horses, usually black, which are bred on the island. 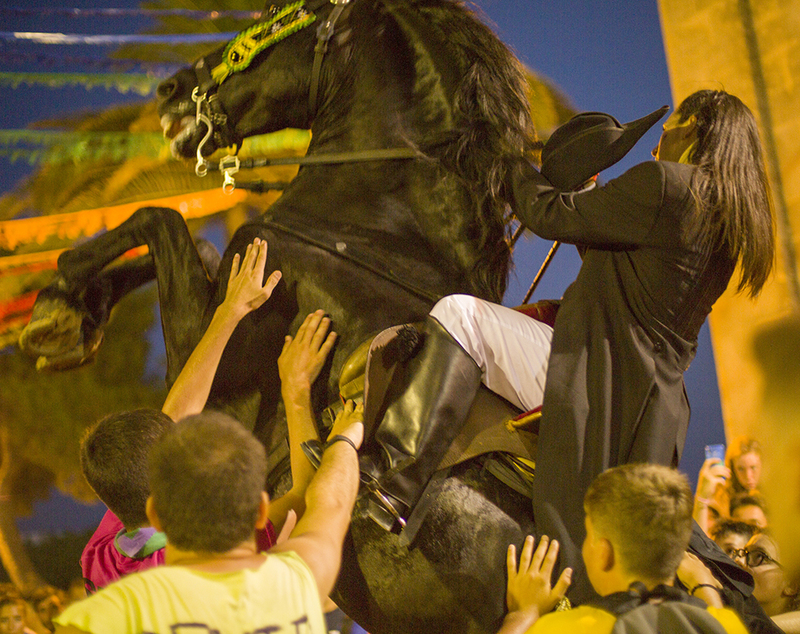 The riders are skilled. 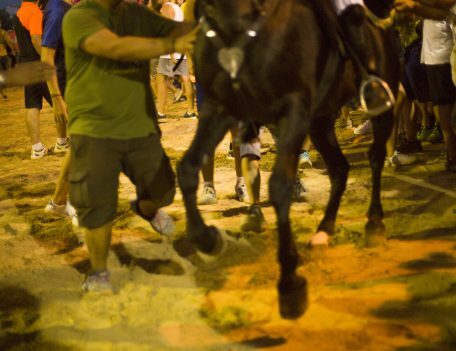 They rear the horses up on their hind legs while the young and drunk try to dismount the rider. 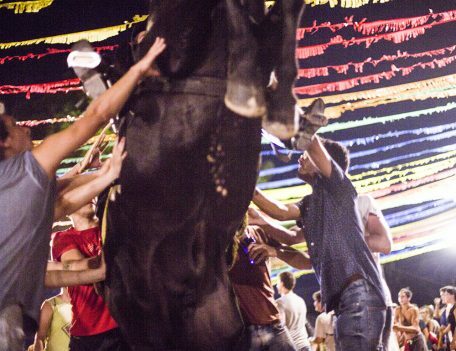 One theory behind this is the landlord of the estate would allow a day of festivity for their tenants. 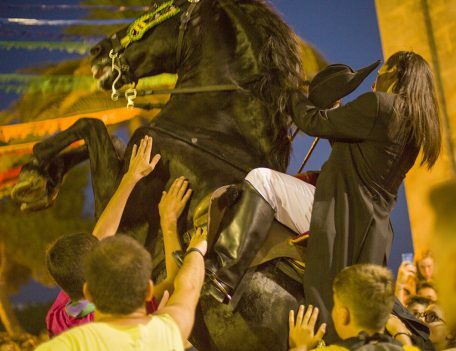 He would ride on horseback and allow an opportunity of ‘pay back’. 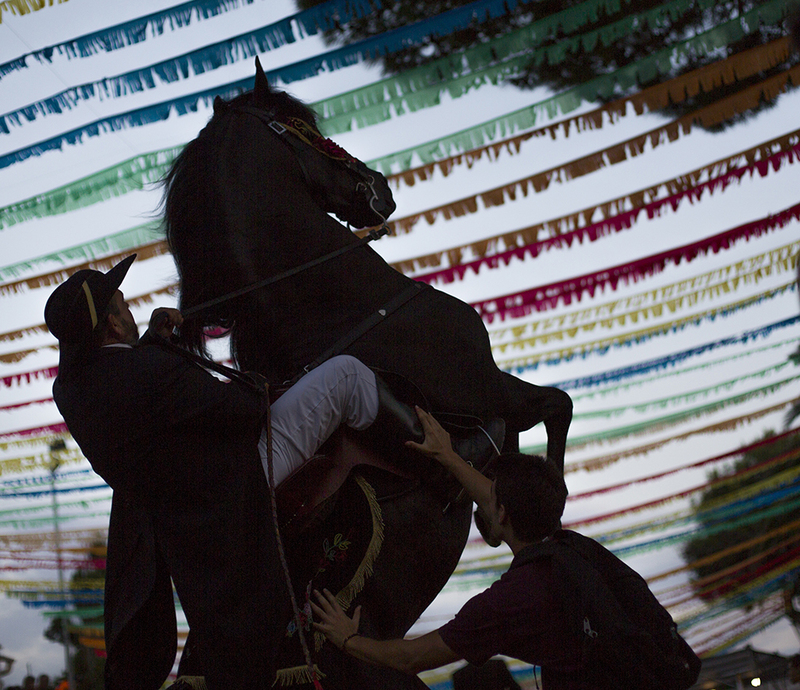 The fiestas are always good fun with plenty of alcohol, food, music and pomada. 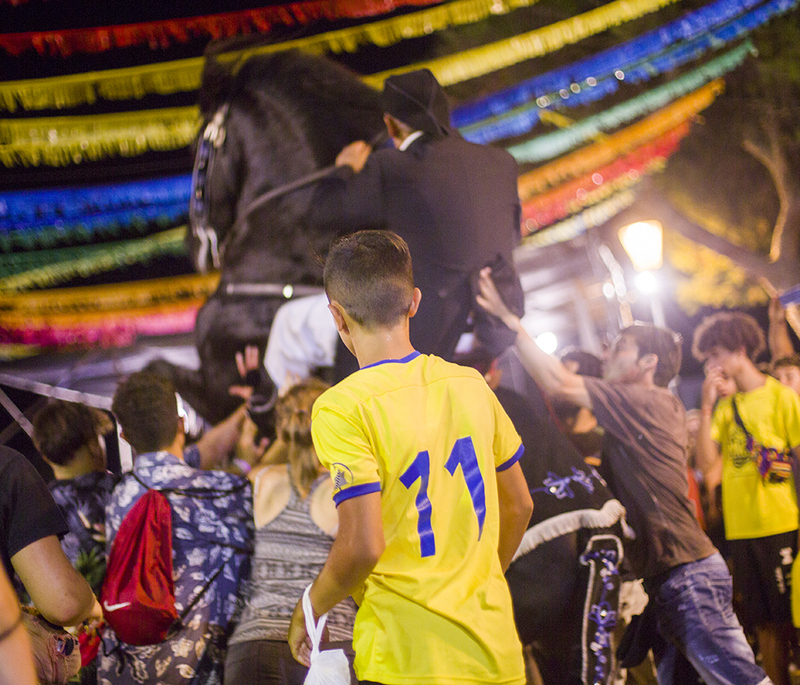 Pomada is locally distilled gin from the Xoriguer distillery in Mahon, mixed with lemonade. 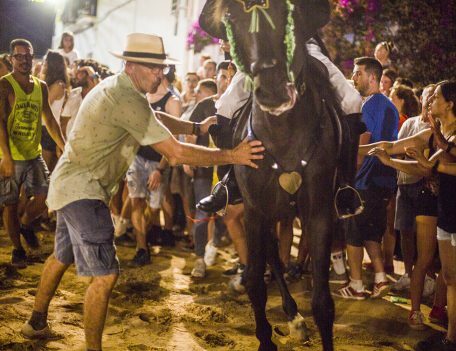 The rearing horses are usually surrounded with the able bodied and drunk who try to touch the silver heart of the horse, near the breast bone. 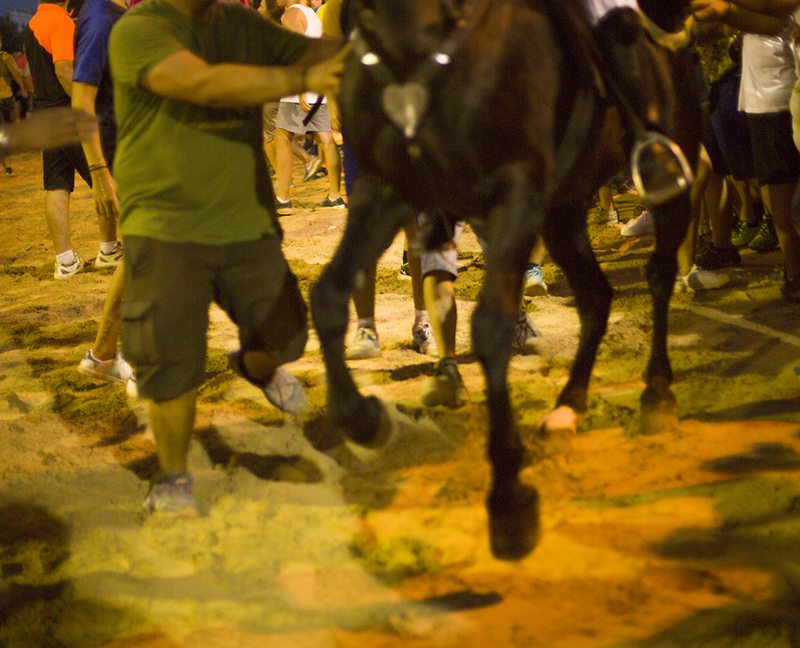 The Jaleos are usually followed by spectacular firework displays around midnight to bring the party to a close. 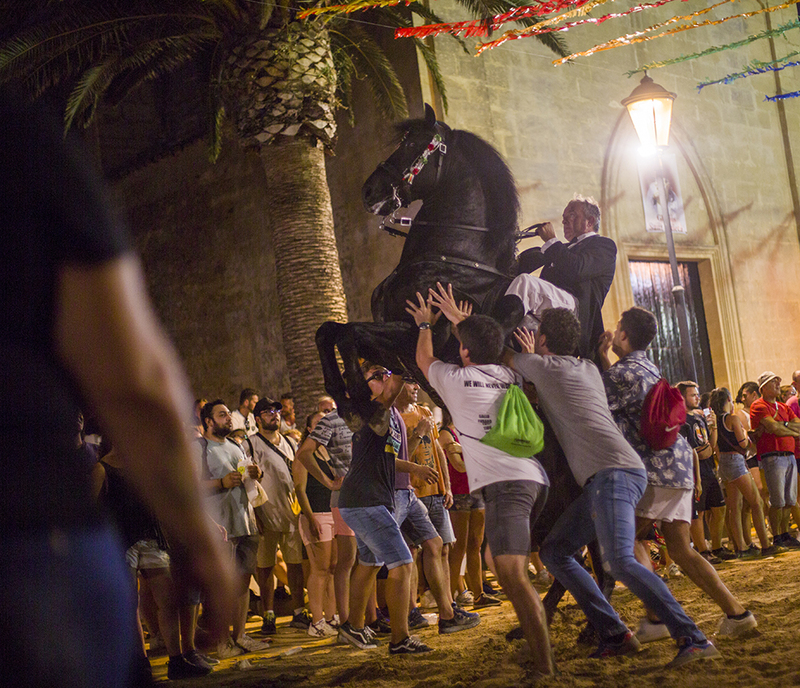 Here you can see photographs from this particular party, but you can view more from the island by clicking on our link to other events from the most easterly Balearic island. 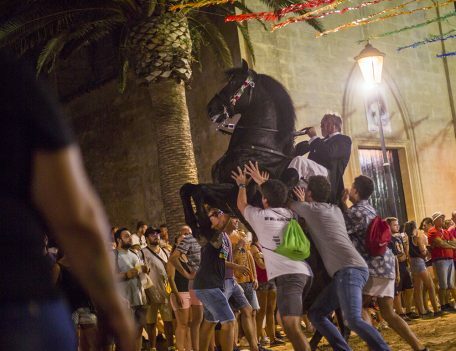 The fiesta season kicks of in the third weekend in June with Sant Joan in the old capital of Ciutadella. 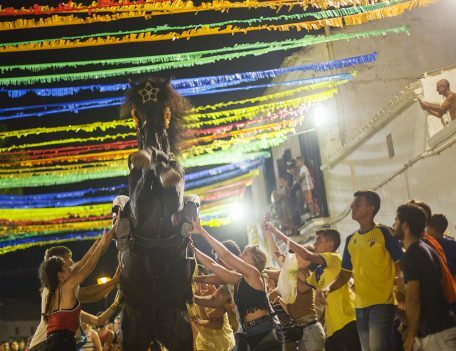 The season wraps up in early September in Mahon with Mare de Deu de Gracia which celebrates Mary, the mother of Jesus. These events are local traditions and are not put on for tourists. Please be respectful.